A-HOTEL.com - Luksusowe i tanie hotele w Botrugno, Włochy. Rezerwacja zakwaterowania w Botrugno i okolicy. Surrounded by a large garden, Villa Monticelli offers accommodation in a historic building in San Cassiano, 2 km from Nociglia and a 20-minute drive from the sea in Castro. It features a sun terrace. M’ami is set in San Cassiano. The air-conditioned accommodation is 39 km from Lecce. Set in San Cassiano, Don Totu - Dimora Storica offers accommodation with free WiFi and free bikes. Guests at the bed and breakfast can enjoy a continental or a buffet breakfast. 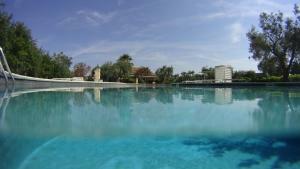 Featuring a garden and an outdoor pool, B&B Usciglio offers modern accommodation in the countryside of Sanarica. With bike rental, the property is a 15-minute drive from the town of Maglie. Studio Via Tevere is situated in Nociglia. Free WiFi is provided. Set in Nociglia, Locazione Turistica Dimora di Pippi features accommodation with a private pool. This villa offers air-conditioned accommodation with a terrace and free WiFi. In the heart of a 7-hectare garden, Tenuta Santa Giovanna is located 2 km from the centre of Poggiardo. It features a furnished verandah with external showers, barbecue facilities and a playground. Casa Pizzicchia is located in Muro Leccese. Guests staying at this holiday home have access to a fully equipped kitchen. La loggia di nonna Olga is situated in Muro Leccese. 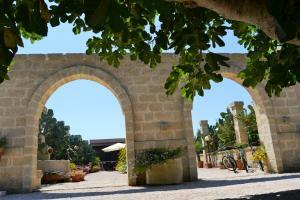 The air-conditioned accommodation is 33 km from Lecce. 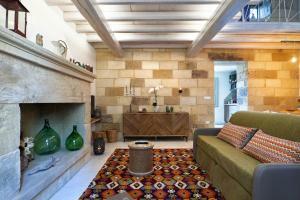 Set in the heart of Salento, Salento Ca' D'Architetto features a furnished terrace and a garden. Guests can enjoy an Italian sweet breakfast, served in a communal room. Melodia is situated in Muro Leccese. Guests staying at this apartment have access to a fully equipped kitchen. Set in Muro Leccese in the Apulia region, Il Cannizzo di Adriana has a garden. The accommodation features free WiFi. Boasting accommodation with a patio, La Corte del Fattore is situated in Surano. Guests are welcome to enjoy the free WiFi.